News category: Press release - published on 14 August 2018. 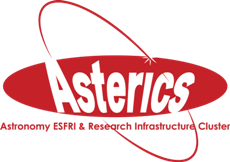 Go to: Multi-messenger.asterics2020.eu for more information. Symposium website "The New Era of Multi-Messenger Astrophysics"